Breidis Prescott (27-6, 20 KOs) may be a six-to-one underdog, but his main event welterweight tilt against Ghana’s Fredrick Lawson (23-0, 20 KOs) looks to be one tremendously competitive fight as it headlines ESPN2 Friday Night Fights (Thursday edition!) from the Hialeah Park Race Track in Hialeah, Florida. In the co-feature, Angino Perez (18-6, 16 KOs) is being offered as a human sacrifice to the boxing gods on behalf of the shamans in charge of the career of IBF 130-pound titlist (that title is not on the line as this fight will be at 140 according to Boxrec) Rances Barthelemy (21-0, 12 KOs). Let’s start with the co-feature. Rances Barthelemy is quite possibly best-known to Friday Night Fights enthusiasts for either the smackdown he put on Hylon Williams Jr. in March of 2012, or else the vile robbery he perpetrated against Arash Usmanee in the 2013 FNF season premiere that launched Barthelemy toward a title shot and Usmanee toward…well, OK, Usmanee got a title shot too (a draw against the same Argenis Mendez that Barthelemy would later beat to claim the IBF 130-pound strap for himself.) Point remains, there exists an open question of just how much of the man’s work has been the road to becoming a champion and how much of his work has been smoke and mirrors with a bought-off judging panel. Not that any of that’s going to matter Friday night. This is a showcase fight, nothing more. Angino Perez has lost to anyone who is even halfway decent with whom he has stepped in the ring, and that’s not even necessarily a requirement. 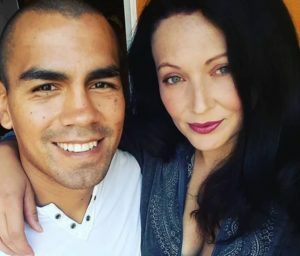 Someone by the name of Stalinn Lopez, in his third pro fight, stopped Perez on a one-punch knockout, and that’s a guy who had a total of three KOs in his first seven fights (all of them wins), got his brains bashed in by Keith Thurman in 2010 (the same Keith Thurman who just smacked around Robert Guerrero on one of those new Haymon PBC shows three weeks ago), and was never seen or heard from again in a ring. Perez has also been knocked out by Karl Dargan (who got exposed on FNF on January 30th in a loss to Tony Luis), Ashley Theophane (11 KOs in 37 pro wins), and—in his pro debut, no less!—a 3-4-2 fighter named Jose Roman, way back in 2004. Jose Roman, in case you were wondering, did not go on to become a world champion—he retired in 2012 after amassing a record of 11-33-5 (5 KOs) and the nickname of “Lucky”, possibly ascribed to him by those 11 saps whom he beat. Get the picture? Angino Perez is a tomato can who has a chin that couldn’t stand up to a stiff breeze. This is going to be ugly, and might just be an excuse to score a swing fight for Antonio Tarver Jr., who is fighting on the dark undercard in a four-rounder. Get ready, Son of Champion—you’ve probably got a date with a TV camera. The main event, however, offers no such foolery or potential disgrace to the integrity of the sport. Breidis Prescott has six pro losses, but he’s only been stopped once (by Mike Alvarado when Alvarado was at his apex in 2011), all of the other five losses were to quality opponents (in order: Miguel Vazquez, Kevin Mitchell, Paul McCloskey, Terence Crawford, and Roberto Garcia.) What’s more, Prescott, who’s fought his entire career between lightweight and welterweight, put a natural middleweight in Garcia on the canvas in the ninth round of that fight, and Prescott also dropped Vazquez, in the first round of that fight. Plus, there’s that whole claim-to-fame first-round KO of Amir Khan from 2008 that Prescott’s been trading on for seven years now. Lawson’s next fight, and the one fans will know him from, was on an ESPN Boxing Special on October 1 of last year, the co-feature of a card that had as its main event Hassan N’Dam beating Curtis Stevens. Lawson fought the corpse of Ray Narh’s career, as Narh lost for what would be the fourth time in a row and fifth time in six fights since Mike Alvarado knocked him out. Lawson dropped Narh twice but did not have the finishing ability (despite the 20 KOs on his record) to get the job done. Your columnist’s sources claim Lawson is a 6-to-1 betting favorite for this fight. If that’s the case, then Breidis Prescott is one very, very live underdog and a value proposition for readers in jurisdictions where sports betting is legal. This is going to be a very stiff test for the undefeated African, who puffed up a record and now must deal with the expectations that come with his promotional grooming. If you’re going to set a guy up to get exposed, Prescott is exactly the guy you throw him in with. Call your friends, pop some popcorn, order the large pizza and the chicken wings, this is going to be a great main event not to be missed, the perfect teaser to carry you through work on Friday. 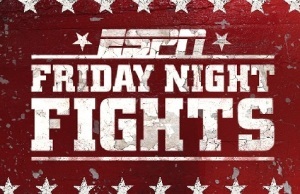 ESPN2 “Friday” Night Fights airs Thursday, March 26, at 9 PM Eastern/6 PM Pacific. The Boxing Tribune will have a full recap of the night’s action, including any swing fights that make air, following the conclusion of the broadcast. Stay tuned—we’re the worldwide leader in covering the Worldwide Leader. 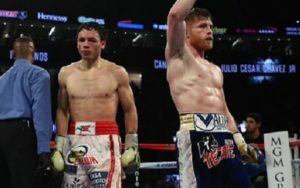 Fox Doucette writes the weekly What If series for The Boxing Tribune and covers (what’s left of) ESPN Friday Night Fights for this publication. 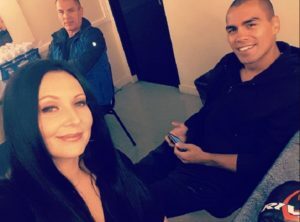 Fan mail, hate mail, and bets on how long it takes Teddy Atlas to get into Al Haymon’s doghouse when ESPN starts airing PBC can be sent to beatcap@gmail.com.